Earlier today, a bill to allow the cultivation of industrial hemp in Pennsylvania was unanimously supported by the state’s Senate Agriculture & Rural Affairs Committee. Senator Judy Schwank’s proposal (Senate Bill 50) would enable the growing and processing of industrial hemp as part of a research program at a college or university; as is permitted under US Federal law; specifically the 2014 Farm Bill. Hemp seed will also be recognised as an oilseed. Senator Schwank recognises there are many thousands of ways industrial hemp can be utilised; including in textiles, construction, food, paper and environmental products. The Senator says industrial hemp can also be used to help restore degraded land. “It’s an age-old plant that has benefitted farmers and consumers for thousands of years, and it holds the promise of helping Pennsylvania farmers in significant ways, once again,” the Senator stated. “We hope that, once we get this started, the Commonwealth of Pennsylvania can become a powerhouse in the growth of hemp for all kinds of uses,” said the Senator. 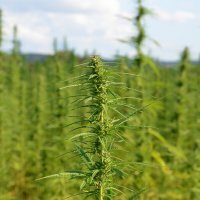 The state’s restarted hemp industry would operate under the regulation of a five-member Industrial Hemp Licensing Board established within Pennsylvania’s Department of Agriculture. While industrial hemp practically has the green light, it’s a different story for medical marijuana in the state. While 90% of voters in Pennsylvania support legalizing medical marijuana; it appears that industry may take some time to get the nod from government. Industrial hemp is a different plant to the one that produces medical cannabis – the major difference being that industrial hemp has very low levels of THC, the mood-altering compound found in other types of cannabis. Trivia – the USA’s Declaration of Independence was drafted on hemp paper.